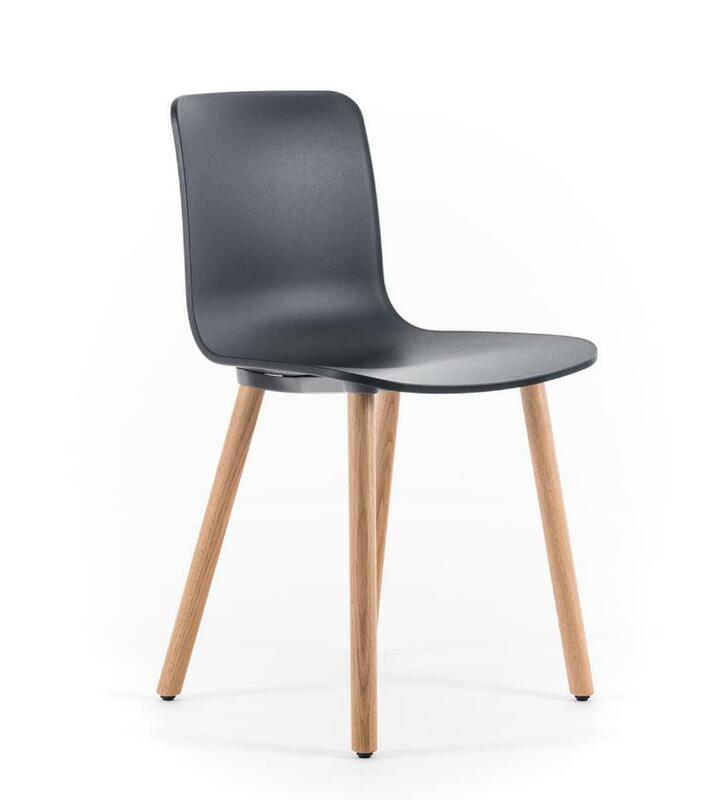 The Vitra chair HAL Wood originates from the HAL chairs collection with which designer Jasper Morrison reinterpreted the classic shell chair. Created according to Jasper Morrison's position that "Special is generally less useful than normal" the HAL Wood is an excellent example of an everyday product defined by good, functional design. Variants Optionally available with felt glides for hard floors or glides for carpets. Care For cleaning the plastic surfaces use a soft, damp cloth and a mild, neutral detergent. Accessories Matching cushion available in different colours. 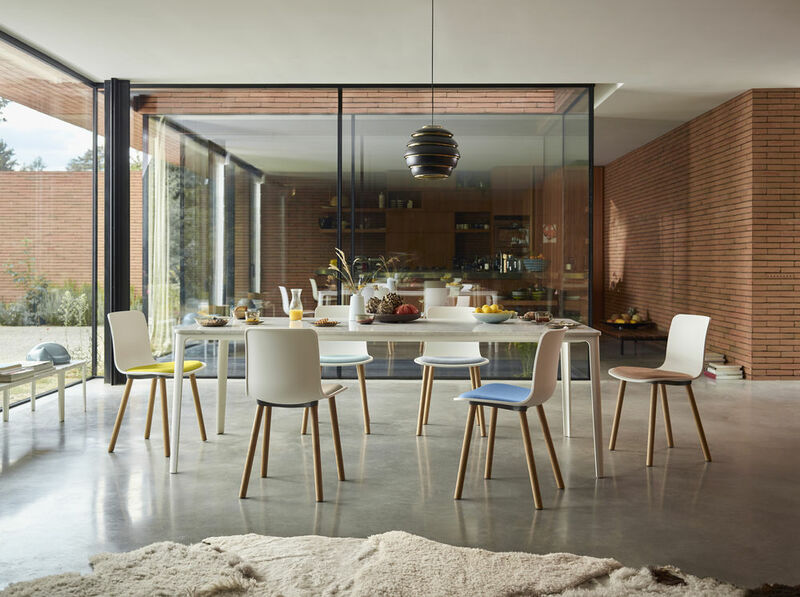 The Vitra chair HAL Wood originates from the HAL chairs collection with which designer Jasper Morrison reinterpreted the classic shell chair. 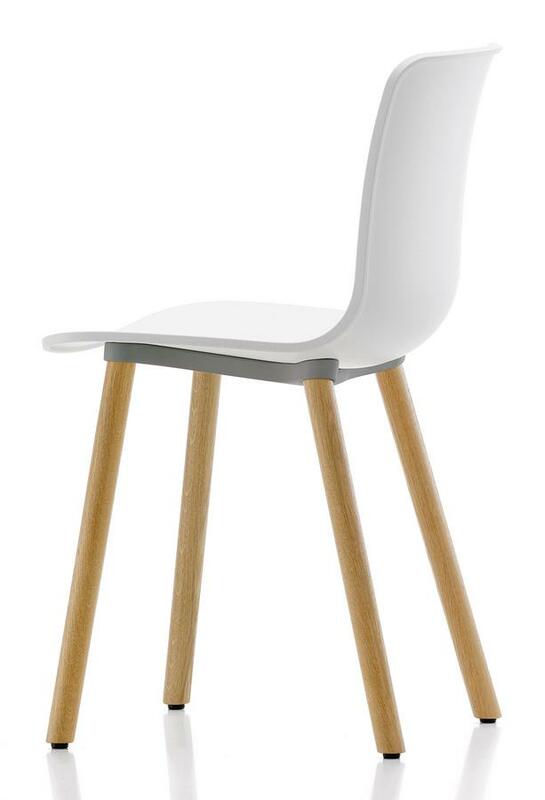 Created according to Jasper Morrison's position that "Special is generally less useful than normal" the HAL Wood is an excellent example of an everyday product defined by good, functional design. 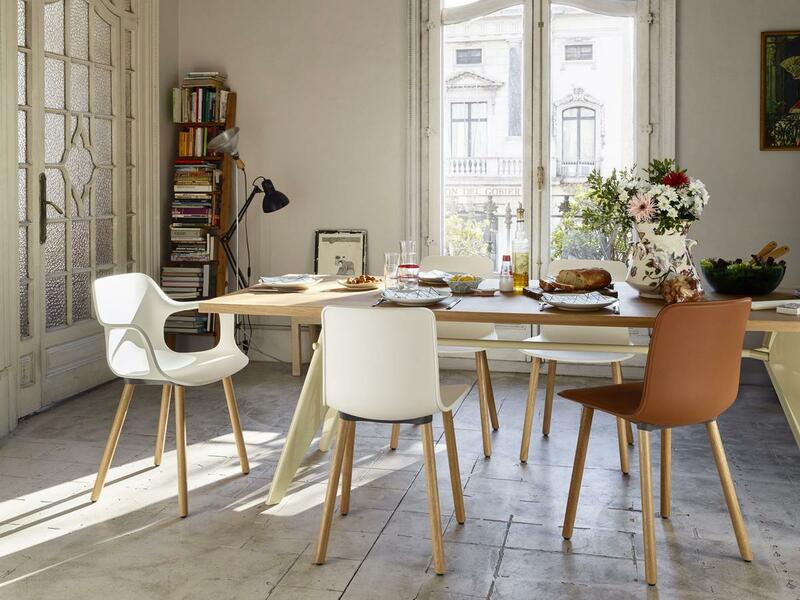 And that the stressed "normality" of the Vitra chair is anything other than boring, is thanks to the playful elegance with which Jasper Morrison has brought the functional necessity into form. 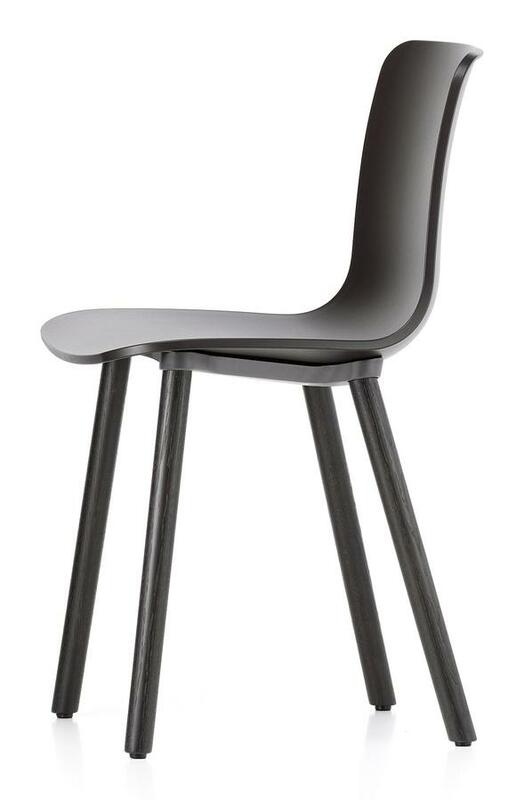 Suitable for both the private or public sector, the Vitra HAL collection offers numerous applications, including as the classical kitchen chair, the general purpose shell chair as embodied by example the HAL Wood Cantilever or as bar stool and armchair. 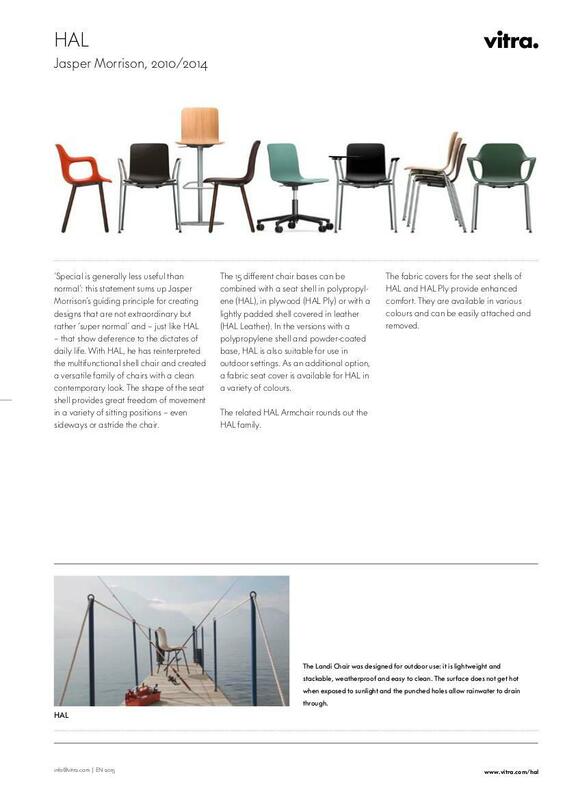 Aesthetic and practical: The HAL collection is contemporary and timeless. 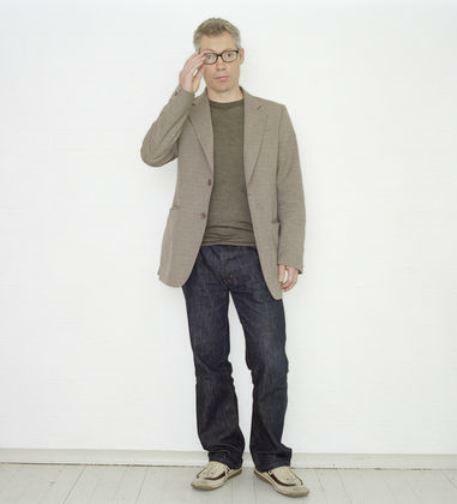 As one of the most successful product and furniture designers of the last decades, Jasper Morrison has created a design language which dominates the private and public spaces of our time. That it does so almost imperceptibly, is thanks to Morrison's appreciation of the concept of the "super normal". Expediency and understatement are the maxims, which have underscored Morrison's work since his graduation from London Royal College of Art in 1985. 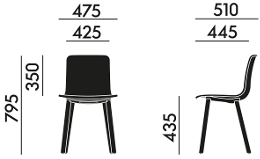 In cooperation with Vitra Jasper Morrison has created numerous products and product families such as the Basel Chair, the Place Sofa and the Vitra HAL collection. 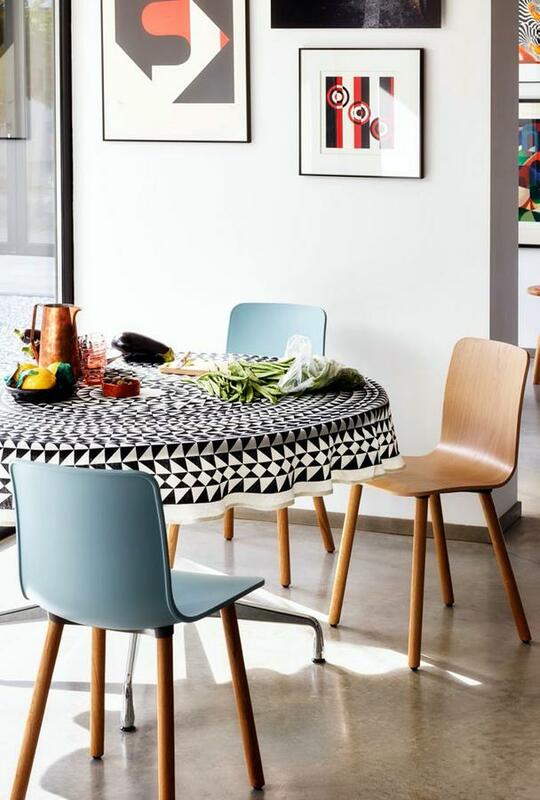 In addition Morrison's simple, yet alluring designs, can be found in all important global collections, including the New York Museum of Modern Art, MoMA. 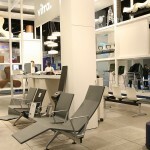 The HAL Wood is one of several modern Vitra designs. 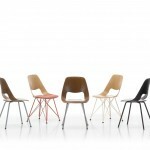 The chairs of the Vitra HAL collection consist of organically shaped seat shells, mounted on a frame. 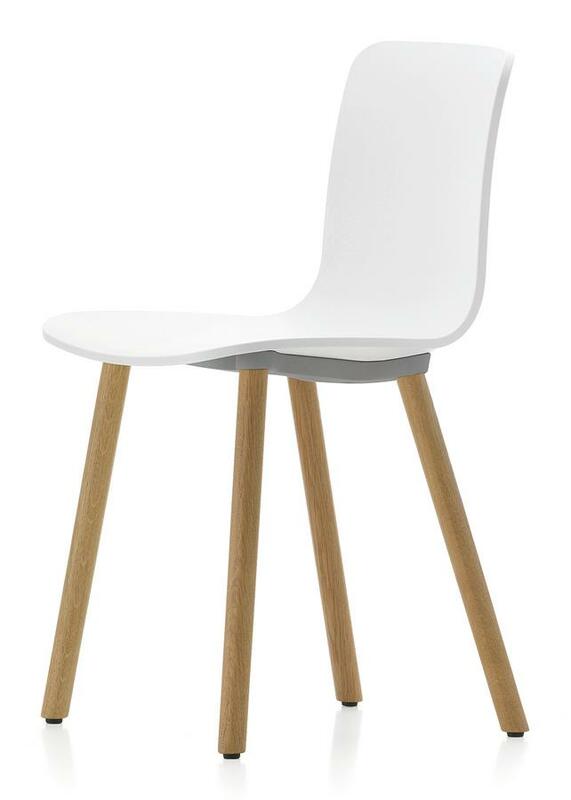 The Vitra chair HAL Wood deftly highlights the combination of wooden frame in light oak and polypropylene seat shell. 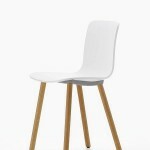 The shell is available in various colours, in addition to the classic basic dark and white Vitra offer the HAL Wood in fresh tones such as "ice grey" or "ivy". 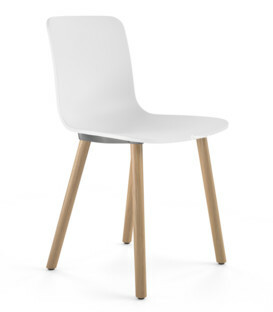 The HAL Wood exemplifies Vitra's focus on durable, environmentally friendly products: aside from the trend independent design which suggests a durable long-lasting product, the quality of most materials used in the HAL series are 100% recyclable - even the polypropylene used in the seat. 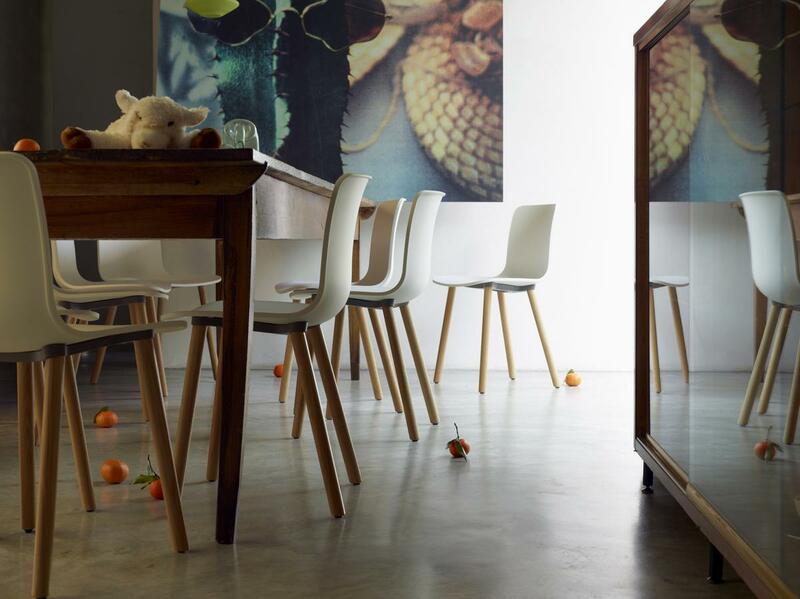 In addition, the Swiss furniture manufacturer work according to certified quality and environmental management systems aimed at reducing in the consumption of energy, raw materials and other resources. 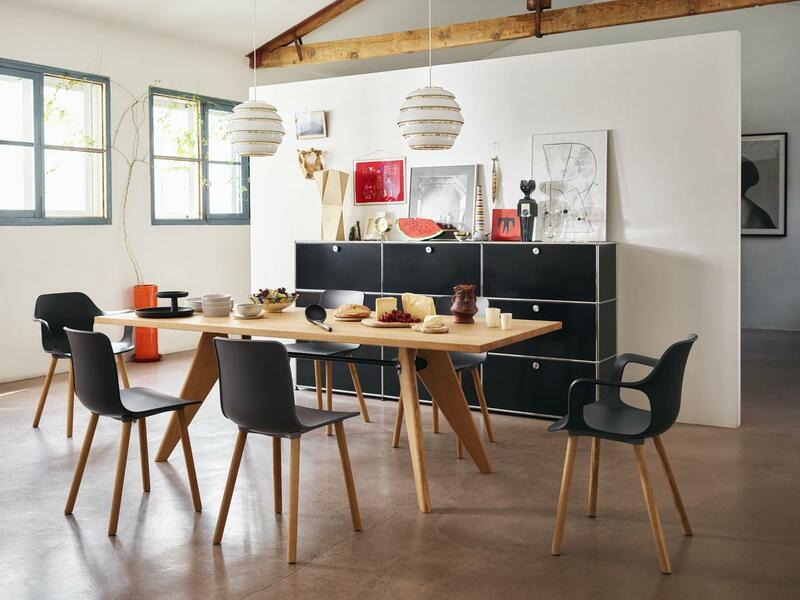 Jasper Morrison designed the HAL Wood for Vitra. And a great may other pieces beside. 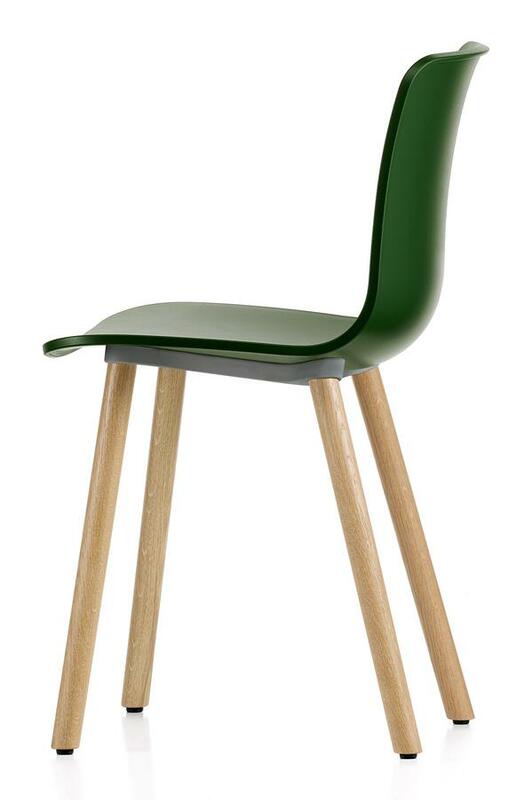 The HAL Wood is the product of a collaboration between Jasper Morrison and the furniture manufacturer Vitra. 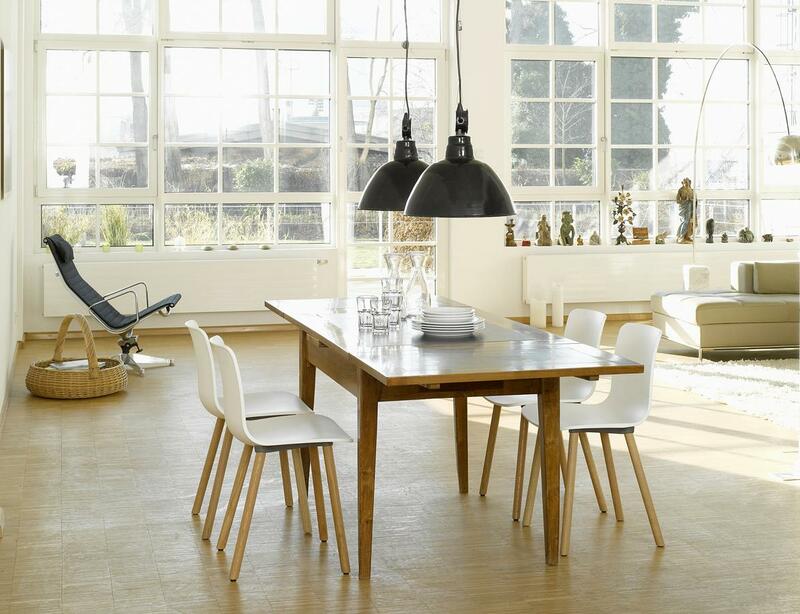 Located in Switzerland, Vitra is committed to design as stylish as it is sustainable. 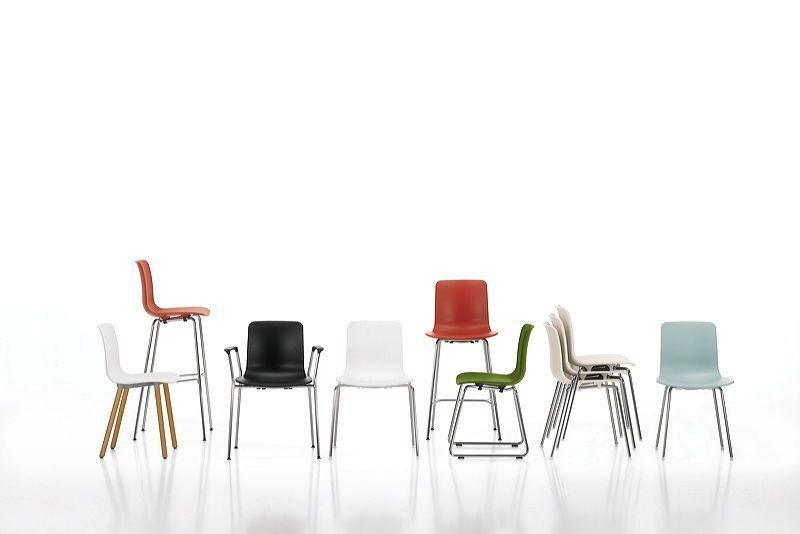 Over decades of cooperation with giants of design history such as George Nelson, Ray & Charles Eames, Verner Panton and Alexander Girard, Vitra have remained true to a belief that design can positively influence society. 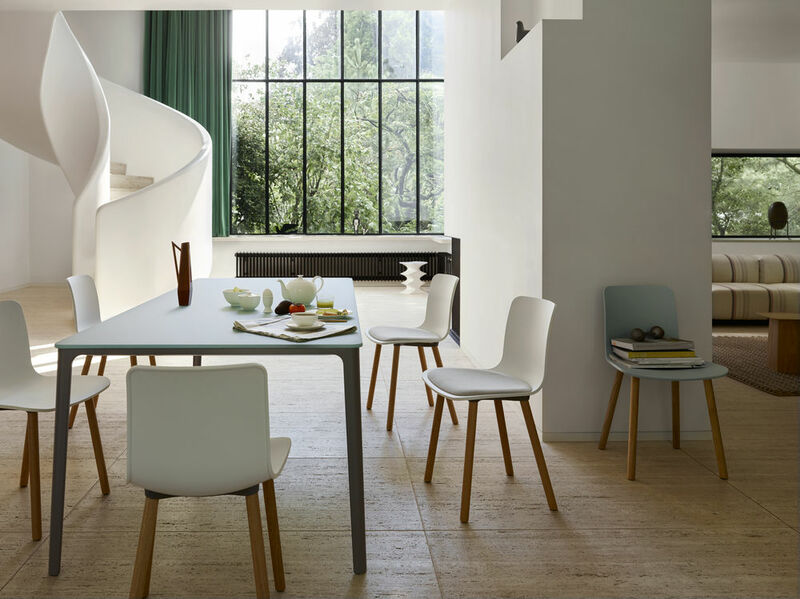 In addition to maintaining a portfolio of modern design classic Vitra is committed to the development and dissemination of contemporary design, designs which respond to current realities and predict future scenarios. 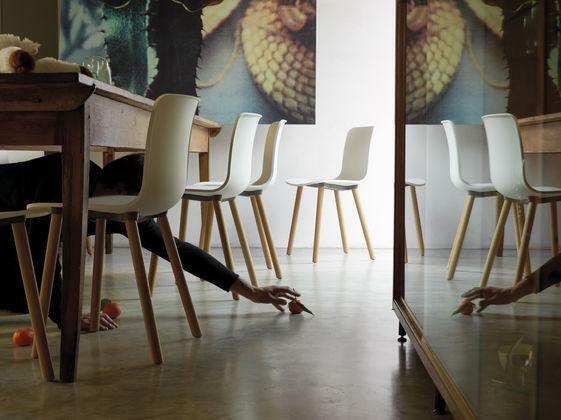 In particular Vitra have established very close working relations with the likes of Hella Jongerius, Maarten van Severen and of course Jasper Morrison. 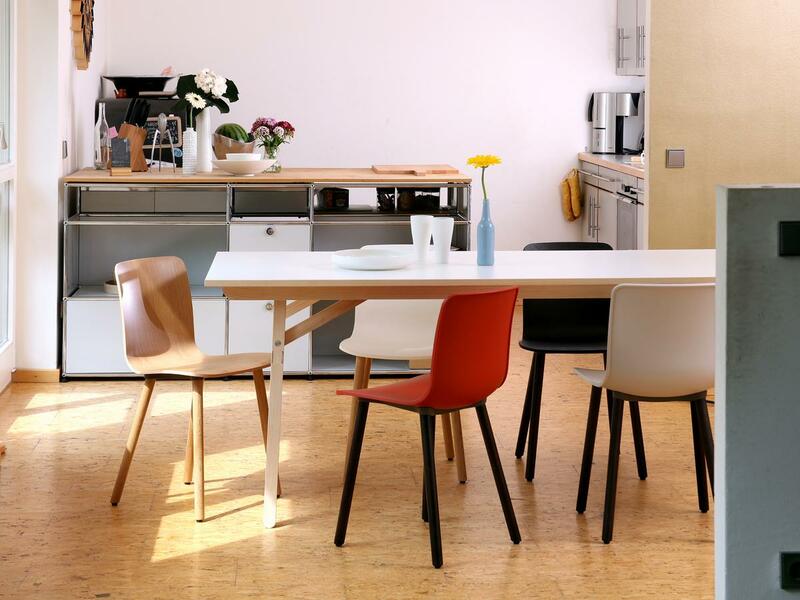 With its design campus and the Vitra Design Museum, the Swiss company is also making a contribution promoting design and architecture to wide audience.